The proposed fine will be $120 but that would be reduced to $90 if paid within 30 days and $80 if paid within 10 days. A Calgary city committee is recommending fines for vehicle owners who don't move when a snow route parking ban is in effect should be bumped from $75 to $120 as a way of increasing compliance. "I wouldn't want to pay $120," said Ward 8 Coun. Evan Woolley. "I'd take the time to move my car and I think those very few Calgarians who aren't, will." The current fine is $75, which is reduced to $50 if paid within 30 days and $40 if paid within 10 days. Coun. Shane Keating pointed out Calgary that currently has the second lowest fine in the country for those who break a snow route parking ban. "I've been in other municipalities where there's complete compliance because they have a different system, he said. "The tow trucks go before the plows and they just literally tow everything so I think we're doing very, very in, as it's new, trying to get compliance." In Edmonton, by comparison, drivers face a $100 fine, while in Toronto it's $200 and in Regina it's $120. Halifax has the lowest penalty at $50. 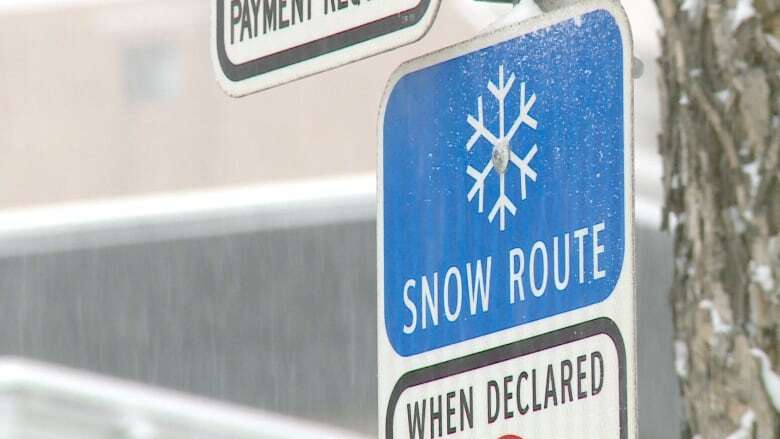 Snow routes in Calgary are marked by a blue sign with a white snowflake and include all Priority 2 roads in the city — which includes bus routes, bike lanes and streets that carry between 5,000 and 19,000 vehicles per day, like 11th and 12th Avenues, 14th Street, Kensington Drive and Acadia Drive. The parking bans are called 24 hours after a major snowfall and can last for up to 72 hours. City council will have the final say on whether snow route parking fines will increase.